Approximately 84% of Malaysian children experience some form of bullying before they turn 18. Some of those who manage to escape it do so by either fighting back, entering gangs for protection, or becoming bullies themselves. We are committed to do all we can to break this cycle. 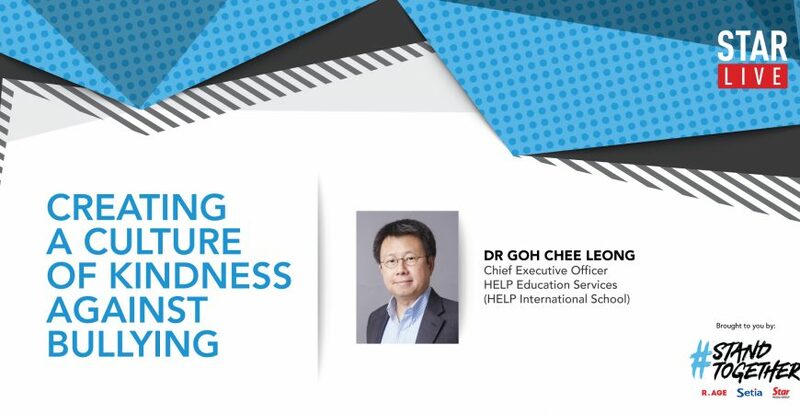 As part of the #StandTogether campaign, join us for StarLIVE, as we hear from Dr Goh Chee Leong on how we can overcome bullying by building a culture of kindness and spot tellltale signs that your child is being bullied. Limited to 100 seats on a first come, first served basis.